Spring has sprung, and it is just what many of us in the social sector need to re-energize our efforts. Spring inspires us to think about new possibilities, adventures and dreams and encourages us to take steps toward positive change. One change we have noticed is that more people tell their story by video – even us! Here at Social Impact Architects, we also find ourselves watching more videos on content relevant to our work in the social sector. And we know we’re not alone. Videos are fun and easy to share, and, unsurprisingly, they are especially effective communication tools. For that reason, we are excited to give you, our loyal readers, a sneak peek at the introductory video in our new e-learning course on Storytelling, based on one of our most popular trainings. Our storytelling training is so popular because of the important role storytelling plays in our organizations. It is more than just marketing – it is the shot of adrenaline that social sector organizations need. Think about your elevator speech. Do you start with who you are and what you do? If so, you’re not alone! This is a common mistake for all of us. However, in the social sector, people are most interested in the why of what we do. We should share how we impact our clients and communities first and once we engage our audience, share what we do and who we are. Trust me, they will be interested. Try this small tweak for one week, and you will see the difference. We also have a lot to say about our programs and our work, but let’s be honest – when we throw it all out there, it just confuses most people. I call it the dreaded nonprofit buffet – it overwhelms folks! To break through the clutter and engage people, it is crucial to boil our work down to the one thing that folks will remember. In fact, Maurice Saatchi of Saatchi and Saatchi, a famous advertising agency, calls it one-word equity. For example, MasterCard’s word is “priceless.” President Obama used “forward” in his political campaign. This may be tough to accomplish in the social sector, but I encourage you to identify the single word, or “big idea,” for why you exist and connect everything else to that one thing. Brainstorm your one word using our exercises. If you don’t tell your story, others will. Do you want them to control the message, or do you prefer to control it? We recently worked with an amazing nonprofit on a strategic plan. Yet, when we asked its supporters and constituents to describe the nonprofit, the one word they mentioned most was “old.” While this is good for credibility and a great foundation to build upon, “old” is not a word that moves people to support a cause or organization. The nonprofit realized it needed to own its story in order to positively and more accurately shape its reputation in the community. 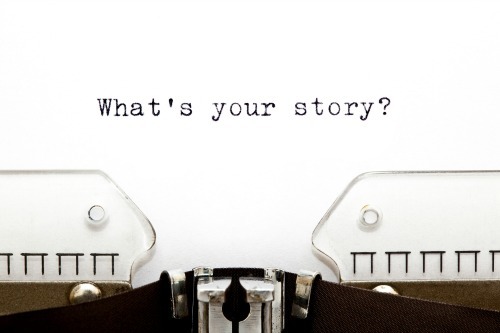 We hope these tips help you refine the story you tell about your organization. If you liked the video, our blog, and the tips and exercises, please share your storytelling successes. We look forward to sharing special reduced pricing for our loyal readers in April as we launch into our spring adventure – taking our content online and making it fun and action-packed for everyone! Fantastic extension of the conversation through the use of video. To hear Suzanne explain the importance of storytelling is compelling. Love, love, love the new format and am looking forward to watching more from this innovative leader!